In a blink of an eye, I'm in the midst of the third trimester. And, even before baby is here, I can say that it's been quite an experience. In between moving to a house from an apartment, buying and preparing for baby, I haven't made many personal purchases. But, there have been a few things, aside from the obvious prenatal vitamins and healthy foods, that have been essential on this journey. Read on to find out more! Palmer's Cocoa Butter Formula for Stretchmarks (here)- I've been a HUGE fan of this. This is my favorite lotion, pregnancy or no pregnancy. I have a tendency to scar from cuts, and since using this, my cuts have been healing flawlessly. I have yet to get stretch marks, but this may be genetic. Either way, I love the low to no fragrance, and how it is light yet super moisturizing! For me, the worst symptom of pregnancy has to be the nausea, particularly during the first trimester. And, nothing really worked. Ginger, very expensive anti-nausea candies, supplements, B-12, lemon water, nothing. Sea Bands- So even though these did not work for me, others have sworn that they worked for them in controlling and reducing pregnancy nausea. And, anything, and I mean if ANYTHING can help someone else avoid prenatal nausea, it's gonna be something that I'll recommend. Put one on each wrist, and they will press down on a pressure point to relieve nausea. It's that simple. 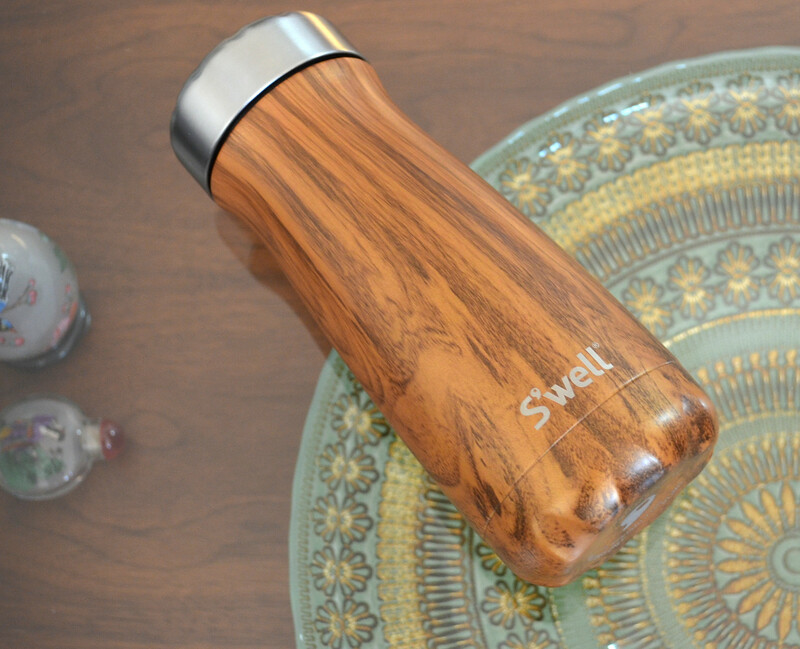 Swell Traveler Water Bottle (here)- BEST. EVER. Water bottle. My nickname was camel. Drinking water is super important, but this simple task is something that I just can't seem to get used to. With pregnancy, drinking water is even more important. Responsible for a little being inside of me, my hubby gifted me the best ever water bottle. And, somehow, miraculously, I'm drinking 3 times more water than I ever was before with zero effort. 1. My drink stays seriously cool or hot in this bottle. Ice lasts till the next day in this thing! 2. The wide opening makes it easier to clean and put big cubes of ice into. 3. Does not distort the flavor of the liquid within. 5. No potentially toxic substances like BPA. 6. The shape is really comfortable for my hand. 7. Does not sweat at all. Never thought I'd love a water bottle. But, I love this one! Body pillow (here)- Every pregnant woman knows that this item is destined to be on their shopping list. And, the earlier you get it, the sooner you'll get to enjoy it. I got a standard body pillow, as the ones that went all the way around weren't as comfortable (hot), took too much space, and a standard allows changing the cover easily to fit decor preferences. 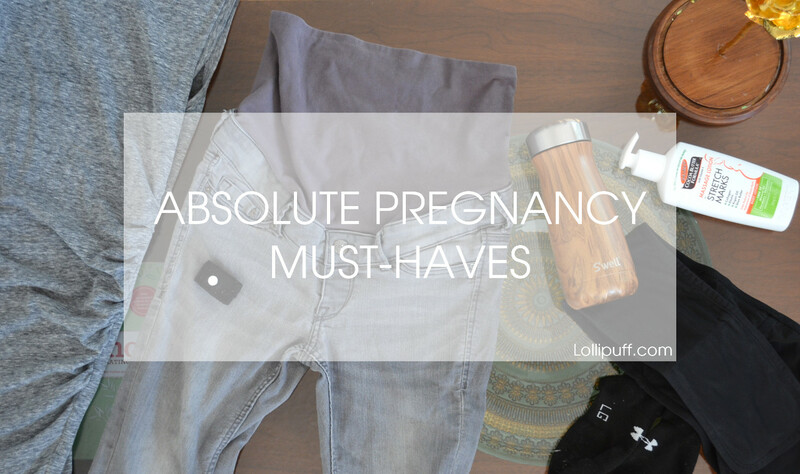 Believe it or not, aside from some shorts and pants, I've hardly bought any maternity clothes. A lot of my stretchy or flowy tops have comfortably fit through the end of the second trimester. And, even in the third, my wardrobe additions have been minimal. However, the following I believe to be absolute must haves. Leith ruched dress for non-maternity but great for maternity too ON SALE (here)- Ok... So, this dress has been blogged about again and again by countless gals. It is a cult classic as far as the internet is concerned. And, it happens to also make a perfect maternity dress, as it is so stretchy. Casual, super-flattering, effortless and timeless style. I love wearing this sporting my big baby bump, but I also look forward to wearing it when baby has left the tummy. 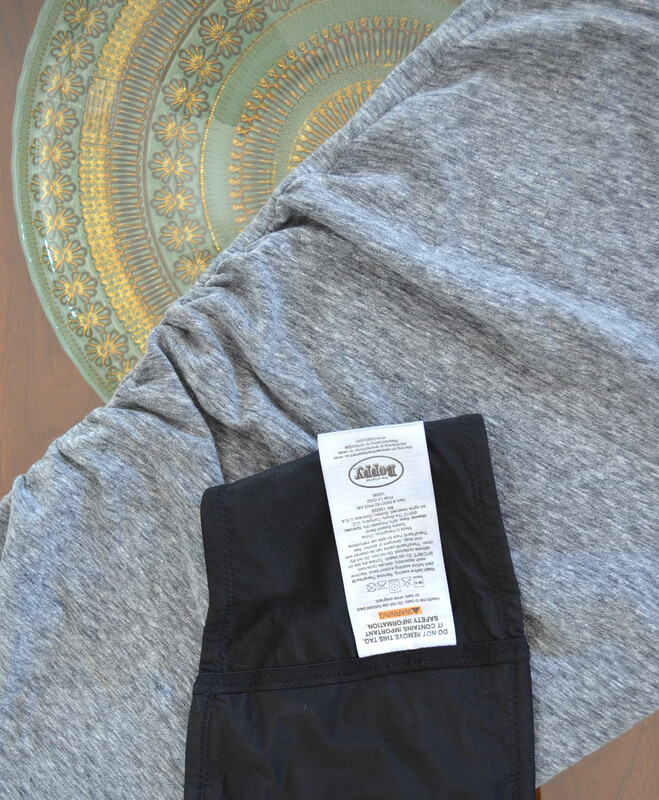 H&M Mama pants- Of all the maternity pants I've tried, H&M was the best fitting while remaining extremely affordable. I really did not want to pay wardrobe investment prices in clothing that would last me less than a year. I have 6 pairs of pants/jeans/shorts from the H&M maternity line. 5 of the 6 pairs I've been able to wear from the first all the way into the third trimester. I have 2 Mama leggings in black that I like to wear at home or with long tunic tops. 2 pairs of shorts here and here, one pair of gray jeans, and my favorite ones: super comfy light blue jeans. H&M runs small. I usually wear size 0/24/25 jeans pre-pregnancy. In H&M, while pregnant, I wear size UK 6 or small in their maternity clothes. One tip I would have found helpful: The full belly cover up on pants is nicer than no cover up or partial due to the slight support it provides in the third trimester. Partial cover ups are very annoying in the third, as it will continually slide down a smooth round tummy. Speaking of support, let's talk about the support needed for the third trimester. I'm fully convinced that all pregnant women unless you are a lucky freak of nature will need some belly support in the third trimester. The baby and her/his house is heavy, and there will be days you will wake up with a seriously aching back and swollen feet. Belly support band (here)- I have a few of these. One of them looks like a crazy harness contraption, but the ones that I reach for the most are simple ones that can be hidden under most clothes. Unlike the multi-strap options, they transition easily when you sit and when you're in public. The good ones tend to be pricier, but it's worth it, as the cheaper or more complicated ones will just sit around collecting dust. Compression socks- Honestly, it doesn't matter what compression socks you use just as long as you have some. They all bring quite a bit of relief especially in the mornings. Even regular socks are better than no socks. For the first time in my life... I wore sandals with socks... but seriously, I'm pregnant, I'm allowed.